ENERGY STAR® certified clothes washer will no longer qualify for rebates after March 31, 2019. Act now to get a $50 to $150 rebate on qualifying models before it's too late! All purchases must be made by March 31, 2019 and rebate applications with all required documentation must be received no later than May 31, 2019. Not all ENERGY STAR certified Clothes Washers qualify for a rebate. Visit delmarva.com/clotheswasher for a list of eligible models. Rebate available to all Delmarva Power Maryland residential customers. Limit one rebate per certified clothes washer, per Delmarva Power Maryland residential account on rebates submitted beginning January 1, 2018 or while funds are available. Rebate application must be accompanied by proof of purchase including a copy of the dated sales receipt with model number. Certified clothes washer must be a new appliance and it must be purchased in Maryland, or the buyer must demonstrate having paid the applicable Maryland sales and use tax. Rebate application must be submitted no later than 60 days from purchase date. 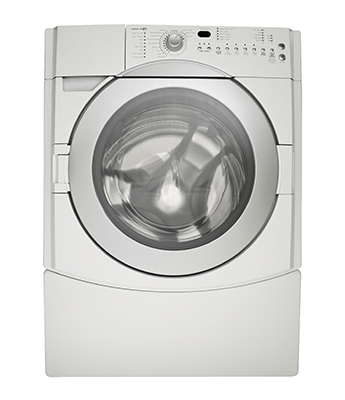 $100 rebate is for select ENERGY STAR certified clothes washers. Details such as rebate amounts and eligible appliances are subject to change at any time. The rebate paid will not exceed the purchase price of the appliance. By submitting this rebate application, I certify that I purchased the ENERGY STAR certified appliance noted above for an eligible Delmarva Power Maryland service address, and I am a Delmarva Power Maryland residential customer. I am providing the requested information solely to be eligible to participate in Delmarva Power's Appliance Rebate Program and request that the personal information supplied by me be treated as confidential to the maximum extent possible. I also certify that the ENERGY STAR certified appliance for which this rebate application is submitted was purchased at a Maryland retailer, or I have paid the applicable Maryland sales and use tax. EmPOWER Maryland programs are funded by a charge on your electric bill. EmPOWER programs can help you reduce your electricity consumption and save you money. Go to Delmarva.com/saveenergy learn more about EmPOWER and how you can participate.